seo tips - Archive - Although this very interesting article does seem to suggest that Google is attempting to kill SEO, I doubt if this is the end of Search Engine Optimisation as we know it! There are a number of tried and proven SEO processes that are absolutely essential to achieving high search engine ranking results for your website and it would be difficult to imagine how these could be replaced by Google with alternative metrics that would enable them to determine the best websites to rank at the top of their search engine results page. Read on and let me know what you think. Is Googe Trying to Kill SEO? - Entrepreneur Tue, 21 Jun 2016 14:22:18 GMT Google is getting ready for a day in court, after a precedent-setting move by a Florida judge who denied the search engine giant's motion to dismiss a case that could redefine how businesses engage in search engine optimization. Google claims the plaintiff, e-ventures Worldwide LLC, engaged in “search engine manipulation” in order to cause its websites to be ranked higher in Google’s search results, stating that doing so was “bad behavior” that had to be deterred. Consequently, Google summarily de-indexed hundreds of the plaintiff’s websites without review or redress. The de-indexing was not based on algorithmic rules or webmaster guidelines, but rather, subjectively applied based on an anonymous tip from an unnamed third party. The larger question here is chilling to virtually any small business which seeks a higher ranking, since Google’s own definition of search engine manipulation is vague and unpredictable. According to a brief filed by e-ventures’ attorney Alexis Arena at Flaster Greenberg PC, “Under Google’s definition, any website owner that attempts to cause its website to rank higher, in any manner, could be guilty of ‘pure spam’ and blocked from Google’s search results, without explanation or redress.” What Is Search Engine Optimization / SEO 1 “It seemed as though I was personally targeted by Google,” said Jeev Trika, CEO of e-ventures Worldwide. “I would purchase a brand new domain and post nothing more than ‘bye bye world’ and within minutes, Google would de-index that domain too. So, Google’s argument that it was removing websites because they were violating Google webmaster guidelines falls flat. It was not about the website content, it was about targeting the website owner. The fact that Google targets people like this is not something that is consistent with their published policies, or what they tell the public.” The brief notes that “search engine manipulation” includes anything done to a website to make it more visible on Google -- and therefore virtually any business using generally accepted SEO Tactics (or any marketing tactics, for that matter) could be accused of manipulation, giving Google an excuse to de-list a website arbitrarily and outside of its algorithmic process, or as in the case of e-ventures Worldwide, de-index all of a website owner’s properties summarily. Should Google prevail, commonly used tactics such as title tags, incorporating keywords in headlines, incorporating legitimate backlinks, or even writing a daily blog would all be suspect. The outcome of this case could dramatically affect how virtually every business in the world does its online marketing. Google is claiming First Amendment rights, stating that it is a publisher and free to publish or not publish anything it sees fit. How Google defines publishing is a bit of a stretch -- they do publish a constantly evolving list of algorithmically-ranked links to websites, but that is by no means the same as operating as a media outlet which exercises editorial discretion. By journalistic definition, a SERP isn’t the same thing as an article -- it’s just a mechanically ranked database. Google’s entire case however, rests on a First Amendment argument. There is an important distinction being brought out in this case that goes far beyond the rights of e-ventures Worldwide, and calls into question the very nature of SEO and digital marketing. In previous cases, the courts have found that Google does indeed have First Amendment protection, but in those cases, the questions related to the rankings of a website, rather than deletion of websites simply because they were affiliated with a person or a company. Previous cases have held that, for example, if someone claims they should be ranked higher in the SERP than Google shows, Google prevails on First Amendment principles. “But, if Google bans 366 websites from all search results because they are affiliated with a particular person or company, then that is a very different thing than anything the courts have addressed previously,” said Alexis Arena, e-ventures Worldwide’s attorney. SEO for startups in under 10 minutes 1 Google did not offer a response to our request for a comment, but they did provide a copy of their most recent June 1 legal filing, which attempted to reinforce their First Amendment claims and argue again for dismissal, again reinforcing its opinion that search engine results are “editorial opinions” and therefore qualify for First Amendment protection. “Before Google refined their algorithm, getting on the first page of search results often could be achieved with tactics like keyword stuffing and artificial linking schemes, but those days are gone,” said Jeev Trika, CEO of e-ventures Worldwide. “Because of changes to Google’s algorithms, Internet entrepreneurs and Web publishers like myself now go the extra mile to provide websites and articles that are relevant, useful, and written to journalistic standards, and that has made the virtual world a better place.” But, says Trika, Google has overstepped its bounds in invoking First Amendment rights to arbitrarily quash websites without review, on the basis of an unsubstantiated third party anonymous tip, and outside the realm of the Google algorithm. “Google’s actions deny businesses the basic right to market themselves in the digital economy,” said Trika. “Google in reality controls the market for Internet advertising, and must be held to a higher standard.” Trika suggests “Google is not drawing a distinction between generally accepted search engine optimization techniques -- such as simply creating and publishing outstanding articles and useful information -- and what they refer to as search engine ‘manipulation.’ SEO is simply engaging in an ever-changing array of tactics to gain recognition -- something businesses have done long before the Internet existed. By Google’s own definition of ‘manipulation,’ any company using header tags or incorporating keywords into headlines could be subject to arbitrary de-indexing.” “Google’s business model isn’t, at the end of the day, providing a free search engine or publishing data, it’s selling advertisements,” said Trika. “The free search engine is merely a vehicle for doing so. Google has an economic reason to deny legitimate Web publishers who are promoting SEO placement in the SERPs so that they can sell more advertisements, but that type of anti-competitive action should not be protected by the First Amendment.” Ever since the first advertisement appeared in the very first newspaper, companies have attempted to use marketing, advertising and public relations tactics to bring more attention to themselves. SEO is merely one more tool in this time-honored commercial tradition. The outcome of this case may well have a lasting effect on how companies move their marketing initiatives into the digital world. Please feel free to comment on this important SEO News Article. Welcome to our latest selection of the most recent online marketing stories and essential SEO tips. Learn how to increase the awareness of your online brand and improve the number of visitors to your website. Each month we publish a selection of the hottest internet marketing articles, hand picked to help you keep up to date with the latest website promotion and SEO news. So, if you are interested in reading the latest developments in the online marketing world, then this regular feature is for you. Check out our special Google RankBrain feature at the bottom of this post. 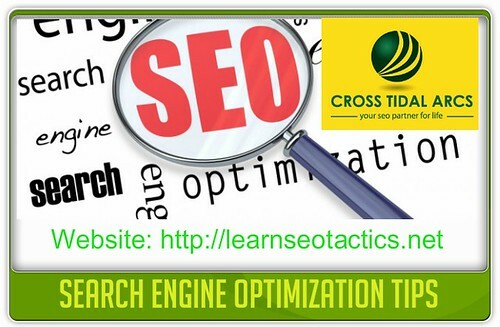 "There is a lot about search engine optimization (SEO) for you to learn. Many people read articles online about SEO and they feel like they have become professionals in the field. Well, this is a feeling someone gets when they have understood something extensively. You feel like you can educate others about it. This is good but then, there is always something more for you to learn. As a matter of fact, this cannot be any more real for SEO. There is a lot of information online about SEO that makes people feel like that they have learnt everything about the topic. Sadly, a majority of the articles online about SEO are usually about organic SEO." Google RankBrain: What is it and how will it affect SEO? If you have enjoyed reading our collection of the latest SEO Tips, please feel free to provide your comments below and share this information with your friends and colleagues. Getonfast is a specialist online marketing company offering a wide range of affordable SEO, Keyword Research, Website Banner Advertising, Social Media Marketing and Video Marketing services. Why not request a copy of our FREE Local SEO Report right now! Achieving a high search engine ranking result for your website is crucial because search engines deliver the majority of traffic for websites that are ranked on the first few pages of the search results for any given keyword. The following tips will help to improve the online visibility of your site. The first step for effective SEO is to determine your target market. This step is crucial and one that is often overlooked by website owners. Your target market will ultimately determine the relevant keywords you should use to optimise your website. Once you know exactly who you are targeting it will become much easier to identify the best performing search terms for your website. The second step is to carefully select the keywords you will use to optimise each page of your website. There are plenty of Keyword Research Tools out there that can help you to choose the best keywords for your site. Investing time in keyword research will help you to identify how many people are searching, using a search term that relates to the products or services you are offering on your website. This will help you to decide which search phrases are best suited for your SEO project. Make sure the keywords that you choose are ones that your target market will be searching for as well as ones that receive a good amount of search traffic and have moderate to low competition. Step three is to take what you have learned about your audience and the keywords you have selected and use this information to correctly optimise your web pages. The most important aspect of the optimisation process is your website’s content. Make sure that you use a unique search term a few times each web page. However each keyword must be relevant to the topic of a specific page. It is also important to ensure that your content is readable and engaging and suitable for both search engines and your website visitors. Step four relates to the optimisation of your website’s meta tags. You should add the relevant keywords to your Title and Description tags. Try to use complete sentences and copy that is engaging and makes sense, not just a list of keywords. It is also important to use unique keywords that are specific to the page that the tag describes. Don’t use the same descriptions and keywords for every page, as search engines and visitors will think every page is the same. 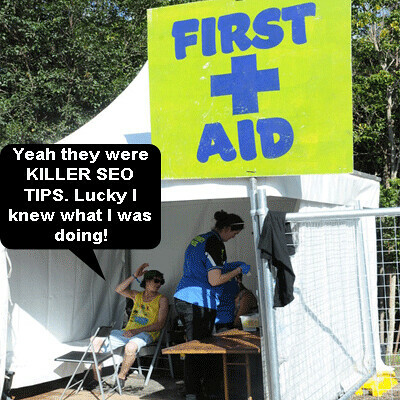 See our article on How To Write A Killer Title Tag for further information. Step five is to use your targeted keyword phrases in your alt image tags, H1 and H2 headings, and as links to other pages in your site or external websites. Investing time to optimise your website is a major part of the online marketing process and if done correctly will make a significant difference to your search engine ranking results. To discover and control how search engines rate your website we recommend using our FREE Website Analysis Report Tool. Check out our Online Internet Marketing Digest which showcases this months top web marketing stories. Your can view this months collection of the hottest, hand picked, Online Marketing News below. Today, Bing released a detailed overview of its Page Zero experience, a new search feature that delivers deep links directly from the search box with shortcuts to relevant information associated with the search term. According to the announcement, the new feature gives “best”...Please visit Search Engine Land for the full article. Below is what happened in search today, as reported on Search Engine Land and from other places across the web. From Search Engine Land: When It Comes To Google, Microsoft’s Ballmer Is Still Fighting Old Battles With Old Tactics I’ve watched Microsoft fight Google in search for a very...Please visit Search Engine Land for the full article. Why Is It So Hard to Increase Your Search Rankings By One Spot? The way to be perceived by Google as the best is, in fact, to be the best. You have to do that consistently, and often over a long period of time to get there, but you should be able to build your traffic, reputation, and business along the way. If you have enjoyed reading our collection of the latest internet marketing news, please feel free to provide your comments below and share this information with your friends and colleagues. Getonfast is a specialist online marketing company offering a wide range of affordable SEO, keyword research, social bookmarking, banner advertising and social media marketing services. Why not request a copy of our FREE Social Media Marketing For Business report right now! Check out our latest selection of the most recent internet marketing stories. Each month we publish a selection of the hottest online marketing stories, hand picked to help you keep up to date with the latest website promotion and SEO news. So, if you are interested in reading the latest developments in the Online Marketing World, then our regular Online Internet Marketing Digest feature is for you. Sometimes the captain can’t afford to go down with the ship, no matter the temptation or emotional investment. Every few weeks, I receive another hopeless phone call from another desperate webmaster. Since Penguin, I’ve seen more ships go down than I care to count. Websites that have delved...Please visit Search Engine Land for the full article. The tool will crawl any web page and create a clear list of all external and internal links plus the anchor text for each link.Create a quick on-page link report! Google's new report can help advertisers see their search footprint and determine if there are keywords that can be supplemented with paid advertising. This is part of their campaign to connect data between AdWords, Analytics, and Webmaster Tools. Is BuzzFeed's Boom Making Brand Blogs Go Bust? BuzzFeed's president says company blogs are so yesterday. If BuzzFeed is the future of content marketing, is owned media the past? No! Cancel those funeral plans. Content marketers have plenty of reasons why company-owned blogs really are that great. Late summer is the ideal time to tighten SEO strategy and put in motion steps for the fall and winter. Here are five recommendations to help B2B SEO professionals get through the dog days of summer and into position to end the year on a high note. If you have enjoyed reading our collection of the latest Internet Marketing News, please feel free to provide your comments below and share this information with your friends and colleagues. Getonfast is a specialist online marketing company offering a wide range of affordable SEO, keyword research, Website Banner Advertising and social media marketing services. Wy not request a copy of our FREE Social Media Marketing For Business report right now! The are many websites that now offer to produce a free website analysis report for your site. They offer this service to companies that want to improve their online presence. The benefits of using a Free Website Analysis Report are varied and this makes them a very important part of the internet marketing process. The quality of these reports and the information provided by the various companies offering this service will vary considerably. Some of these reports are likely to be very basic and others may even provide the wrong information. It is therefore essential that you select a website health check company that has a proven track record in the latest search engine optimisation techniques, in order to obtain reliable information that will provide the best results. One of the main benefits is to help you to improve your sites search engine ranking results. For a website to be ranked highly in the major search engines, such as Google, more than a hundred individual ranking factors are considered. A comprehensive website audit report will help you determine which areas of your website meet the required guidelines and in which areas you need to make improvements. This information is extremely helpful to you as it will enable you to easily identify those areas of your site that need improving, to get your site ranked highly. A comprehensive website audit report should also help you to improve customer conversions, once you start receiving regular traffic to your site. This is different from helping you to achieve high rankings in Google. Here you are told about the various ways that you could make your website more user friendly. Users always want a site that they can navigate through easily without having a lot of hurdles. This type of report will tell which areas your website has failed and may even provide recommendations that will help you to find a solution to that problem. If you are unable to make the changes the report recommends, an internet marketing specialist will be able to do it for you, for a small fee. A website has to be marketed effectively online for it to be successful. A reliable website audit report should also provide you with online marketing strategies that can make your internet business more successful. These strategies will differ from one business to another and so the report will only give you the internet marketing strategies that are most suited to your business. You are also told which online marketing techniques will work against you, so you are able to avoid them. The report should also teach you on the various ways to make your website more search engine friendly. Social Media Marketing is now a very important part of the internet marketing process. A good website audit report will provide you with detailed information on how your social networking is crucial to the success of your businesses. They will also provide you with details of your back linking and whether you need to improve on it. Social networking and back linking are very crucial in ensuring that you make the most out of the resources that are your disposal. These two elements have become some of the leading factors in the ranking of websites. A free website analysis report that shows you what aspects you need to improve with regards to these two elements will be very beneficial to you. We hope that you have found this internet marketing article interesting and useful. Please feel free to comment and share this information with your friends and colleagues. Check out our regular Online Internet Marketing Digest feature, which showcases this months top digital marketing stories.This regular feature is published every month and is designed to provide you with the latest search engine optimisation and Website Promotion developments that affect your online business. Your can view this month's collection of the hottest, hand picked, internet marketing news stories below. How has query syntax changed since voice search has become more popular? Google Links AdWords With Analytics – Finally! What should we expect in the next few months in terms of SEO for Google? Getonfast has been offering highly affordable online marketing services for almost 10 years and provides a FREE Website SEO Report to enable you to understand how Google ranks your website. If you found this blog post helpful, you may wish to consider subscribing to our Blog by RSS Feed or Email and receive our regular Online Internet Marketing Digests, direct to your inbox. As always, please feel free to comment and share this information with your friends and colleagues. Our monthly Online Internet Marketing Digest, features a range of hand picked web marketing stories. This is a great way for webmasters to keep up to date with the latest SEO and online marketing news. Each month we feature a collection of the latest stories from our industry that may help you to improve your SEO efforts. View the hottest stories for June below. Google's got $5 on it … er, make that $240,000. This is according to last week's announcement from medical cannabis nonprofit Michigan Compassion. The nonprofit said $240,000 in AdWords grants had been given by the Google Grants program. The local search landscape continues to evolve quickly. New vendors and local optimization tactics are emerging almost daily. Here's a recap of the state of local search, the key players, and how to chart your way forward in this complex area. Google has quietly dropped another search operator, the tilde (i.e. ~) search operator. Google Operating System blog noticed the lack of support for the tilde operator over the weekend. Reportedly, Dan Russell, a Search Research Scientist at Google, confirmed Google dropped the feature. Dan said...Please visit Search Engine Land for the full article. If you found this Online Internet Marketing Digest of interest, why not subscribe to our Blog by RSS Feed or Email and receive FREE Professional SEO Tips, direct to your inbox. As always, please feel free to comment and share this information with your friends and colleagues. Getonfast is a specialist internet marketing agency offering a range of highly effective website promotion, search engine optimisation, social media marketing, video marketing, banner advertising services and much more. Wy not request your FREE SEO Report right now! If you are searching for the latest internet marketing news or want to read this weeks hot stories from the online marketing world, then our regular Online Internet Marketing Digest feature is for you. Each month we bring you a round up of the most important topics that will help you to develop a successful online business. The folowing is a selection of our hand picked, top Website Promotion and SEO stories for May. The first steps of commerce take place within the search results. Give consumers a better sense of offers and pricing with your title tags. By exposing more information up front, sites can better align with the right consumer and get more clicks. Why Your Business Should Be On Foursquare Now! GIF vs. JIF: Does It Even Matter? What kind of t-shirt do you wear? Google conversational search rolled out on the new version of Chrome this week. While the “OK Google” search prompt we heard about at the I/O event is not yet available, Google is attempting to have relevant conversations with users. In this week’s Search In Pictures, here are the latest images culled from the Web, showing what people eat at the search engine companies, how they play, who they meet, where they speak, what toys they have, and more. Android Bathroom Signs: Source: Google+ Bike To Work Day At Google Germany:...Please visit Search Engine Land for the full article. Getonfast has been offering highly affordable online marketing services for almost 10 years and provides a FREE Website SEO Report to enable you to understand how Google ranks your website. If you found this blog post helpful, you may wish to consider subscribing to our Blog by RSS Feed or Email and receive our regular Online Internet Marketing Digests, direct to your inbox. As always, please feel free to comment and share this information. Check out our April edition of Online Internet Marketing Digest which showcases this month's top online marketing and website promotion stories.This regular feature is published every month and is designed to provide you with the most up to date Online Marketing Information, all in one place. If you are interested in keeping up to date with the latest online trends and developments that may affect your business, please view our collection of the latest, hand picked, internet marketing news stories below. Expanding internationally is extremely challenging.you have to deal with different time zones, languages, and cultures. Google+ Hangouts can help break down the barriers separating you from your clients, customers, or your own staff. There’s a gold rush under way as brands allocate big budgets to build and optimize their presence in emerging search and discovery channels. How can SEOs stake their claim in this new mobile, local, social, and content marketing territory? Continue Reading On COPY TEST - Techcrunch» You may also wish to check out this latest video from Google. Does linking my two sites together violate the quality guidelines? If you have enjoyed reading our round up of the latest Website Promotion News, you may wish to consider subscribing to our Blog by RSS Feed or Email in order to receive our monthly Online Internet Marketing Digests, direct to your inbox. Please feel free to comment and share this information with your friends and colleagues. .
Is Google Trying to Kill SEO? Although this very interesting article does seem to suggest that Google is attempting to kill SEO, I doubt if this is the end of Search Engine Optimisation as we know it! There are a number of tried and proven SEO processes that are absolutely essential to achieving high search engine ranking results for your website and it would be difficult to imagine how these could be replaced by Google with alternative metrics that would enable them to determine the best websites to rank at the top of their search engine results page. Read on and let me know what you think. Google is getting ready for a day in court, after a precedent-setting move by a Florida judge who denied the search engine giant’s motion to dismiss a case that could redefine how businesses engage in search engine optimization. Google claims the plaintiff, e-ventures Worldwide LLC, engaged in “search engine manipulation” in order to cause its websites to be ranked higher in Google’s search results, stating that doing so was “bad behavior” that had to be deterred. Consequently, Google summarily de-indexed hundreds of the plaintiff’s websites without review or redress. The de-indexing was not based on algorithmic rules or webmaster guidelines, but rather, subjectively applied based on an anonymous tip from an unnamed third party. The brief notes that “search engine manipulation” includes anything done to a website to make it more visible on Google — and therefore virtually any business using generally accepted SEO Tactics (or any marketing tactics, for that matter) could be accused of manipulation, giving Google an excuse to de-list a website arbitrarily and outside of its algorithmic process, or as in the case of e-ventures Worldwide, de-index all of a website owner’s properties summarily. Should Google prevail, commonly used tactics such as title tags, incorporating keywords in headlines, incorporating legitimate backlinks, or even writing a daily blog would all be suspect. The outcome of this case could dramatically affect how virtually every business in the world does its online marketing. Google is claiming First Amendment rights, stating that it is a publisher and free to publish or not publish anything it sees fit. How Google defines publishing is a bit of a stretch — they do publish a constantly evolving list of algorithmically-ranked links to websites, but that is by no means the same as operating as a media outlet which exercises editorial discretion. By journalistic definition, a SERP isn’t the same thing as an article — it’s just a mechanically ranked database. Google’s entire case however, rests on a First Amendment argument. There is an important distinction being brought out in this case that goes far beyond the rights of e-ventures Worldwide, and calls into question the very nature of SEO and digital marketing. In previous cases, the courts have found that Google does indeed have First Amendment protection, but in those cases, the questions related to the rankings of a website, rather than deletion of websites simply because they were affiliated with a person or a company. Previous cases have held that, for example, if someone claims they should be ranked higher in the SERP than Google shows, Google prevails on First Amendment principles. “But, if Google bans 366 websites from all search results because they are affiliated with a particular person or company, then that is a very different thing than anything the courts have addressed previously,” said Alexis Arena, e-ventures Worldwide’s attorney. Google did not offer a response to our request for a comment, but they did provide a copy of their most recent June 1 legal filing, which attempted to reinforce their First Amendment claims and argue again for dismissal, again reinforcing its opinion that search engine results are “editorial opinions” and therefore qualify for First Amendment protection. Ever since the first advertisement appeared in the very first newspaper, companies have attempted to use marketing, advertising and public relations tactics to bring more attention to themselves. SEO is merely one more tool in this time-honored commercial tradition. The outcome of this case may well have a lasting effect on how companies move their marketing initiatives into the digital world. Please feel free to comment on this important SEO News Article. Learn how to increase the awareness of your online brand and improve the number of visitors to your website. Each month we publish a selection of the hottest internet marketing articles, hand picked to help you keep up to date with the latest website promotion and SEO news. So, if you are interested in reading the latest developments in the online marketing world, then this regular feature is for you. “Some people hold a higher place of influence so when we are faced with a purchasing decision, we turn to these influencers to guide us. And brands are beginning to pick up on this as a marketing avenue. If executed properly, an influencer marketing campaign can have a positive and powerful affect on a brand. But in order for all the pieces of the campaign to fall in place, it needs to be executed properly, and the first step is setting it up for success. “Any good SEO will tell you that website performance is a huge factor in getting ranked. In fact, it pays to spend time and money to ensure your page load time is as fast as it can be. Why is this important? User engagement. If your website loads too slowly, users will give up and go elsewhere. Your bounce rate will increase. And Google won’t rank you as highly in the SERPs if your performance stinks. This is even more of an issue on mobile. The same page will typically load even slower on a smartphone or tablet than it will on a desktop. And users are more impatient, meaning that you are truly leaving traffic off the table by ignoring performance. “One of the biggest and most costly mistakes business owners make when it comes to choosing the right SEO software is choosing the right solution that best suits your business at the right time. Not all businesses are at the same stage in growth. When it comes to implementing SEO for a new start-up your business will need to focus on the fundamentals of SEO by starting with the websites structure itself, setting up social media accounts and starting your blog. In this case a simple, basic SEO software will be perfectly antiquate while other more established sites might need a significantly more robust solution to ramp up an Off Page campaign, monitor on-page activity and site analytics. If you have enjoyed reading our collection of the latest SEO Tips, please feel free to provide your comments below and share this information with your friends and colleagues. Getonfast is a specialist online marketing company offering a wide range of affordable SEO, Keyword Research, Website Banner Advertising, Social Media Marketing and Video Marketing services. Why not request a copy of our FREE Local SEO Report right now! Achieving a high search engine ranking result for your website is crucial because search engines deliver the majority of traffic for websites that are ranked on the first few pages of the search results for any given keyword. The following tips will help to improve the online visibility of your site. Step five is to use your targeted keyword phrases in your alt image tags, H1 and H2 headings, and as links to other pages in your site or external websites. Investing time to optimise your website is a major part of the online marketing process and if done correctly will make a significant difference to your search engine ranking results. To discover and control how search engines rate your website we recommend using our FREE Website Analysis Report Tool. Today, Bing released a detailed overview of its Page Zero experience, a new search feature that delivers deep links directly from the search box with shortcuts to relevant information associated with the search term. According to the announcement, the new feature gives “best”…Please visit Search Engine Land for the full article. Below is what happened in search today, as reported on Search Engine Land and from other places across the web. From Search Engine Land: When It Comes To Google, Microsoft’s Ballmer Is Still Fighting Old Battles With Old Tactics I’ve watched Microsoft fight Google in search for a very…Please visit Search Engine Land for the full article. BlackBerry trumpeted its intention to deliver the long-awaited Android and iOS versions of its BlackBerry Messenger (BBM) service this weekend, and so fans around the world eagerly awaited the mobile software’s debut. But debut the apps didn’t, at least not as intended and not for the vast majority of expectant fans. Hashtags are amazing. Not just because they offer such a clever way of grouping content, searching and adding context. Not even because they were used on IRC long before Twitter even thought of. It is because they have invaded the public consciousness in an irrevocable way that will continue to affect our world for generations to come. Think about it, when was the last time you made a hashtag reference and someone didn’t know what you were talking about? What do you think of every time you see a # sign? How many websites are now using this format, including sites that were straight up against the idea like Facebook? If you have enjoyed reading our collection of the latest internet marketing news, please feel free to provide your comments below and share this information with your friends and colleagues. Getonfast is a specialist online marketing company offering a wide range of affordable SEO, keyword research, social bookmarking, banner advertising and social media marketing services. Why not request a copy of our FREE Social Media Marketing For Business report right now! Check out our latest selection of the most recent internet marketing stories. Each month we publish a selection of the hottest online marketing stories, hand picked to help you keep up to date with the latest website promotion and SEO news. So, if you are interested in reading the latest developments in the Online Marketing World, then our regular Online Internet Marketing Digest feature is for you. The overwhelming amount of information we have to deal with nowadays gave birth to a great concept: Content creation. The open nature of the web and how we communicate with this content is a unique force that has never been seen throughout history. But once the content has been created, what do you do with it? More importantly, how do we filter out the useless or irrelevant content while keeping the best? Sometimes the captain can’t afford to go down with the ship, no matter the temptation or emotional investment. Every few weeks, I receive another hopeless phone call from another desperate webmaster. Since Penguin, I’ve seen more ships go down than I care to count. Websites that have delved…Please visit Search Engine Land for the full article. Google’s new report can help advertisers see their search footprint and determine if there are keywords that can be supplemented with paid advertising. This is part of their campaign to connect data between AdWords, Analytics, and Webmaster Tools. Is BuzzFeed’s Boom Making Brand Blogs Go Bust? BuzzFeed’s president says company blogs are so yesterday. If BuzzFeed is the future of content marketing, is owned media the past? No! Cancel those funeral plans. Content marketers have plenty of reasons why company-owned blogs really are that great. Matt Cutts explains what it means if your site has a manual action labeled as “Unnatural links to your site—impacts links” and what you can do to fix it. Come and get it: We just launched the new Mashable app for Android into full public release. If you have an Android phone, head over to Google Play and download it today. If you have enjoyed reading our collection of the latest Internet Marketing News, please feel free to provide your comments below and share this information with your friends and colleagues. Getonfast is a specialist online marketing company offering a wide range of affordable SEO, keyword research, Website Banner Advertising and social media marketing services. Wy not request a copy of our FREE Social Media Marketing For Business report right now! One of the main benefits is to help you to improve your sites search engine ranking results. For a website to be ranked highly in the major search engines, such as Google, more than a hundred individual ranking factors are considered. A comprehensive website audit report will help you determine which areas of your website meet the required guidelines and in which areas you need to make improvements. This information is extremely helpful to you as it will enable you to easily identify those areas of your site that need improving, to get your site ranked highly. A comprehensive website audit report should also help you to improve customer conversions, once you start receiving regular traffic to your site. This is different from helping you to achieve high rankings in Google. Here you are told about the various ways that you could make your website more user friendly. Users always want a site that they can navigate through easily without having a lot of hurdles. This type of report will tell which areas your website has failed and may even provide recommendations that will help you to find a solution to that problem. If you are unable to make the changes the report recommends, an internet marketing specialist will be able to do it for you, for a small fee. A website has to be marketed effectively online for it to be successful. A reliable website audit report should also provide you with online marketing strategies that can make your internet business more successful. These strategies will differ from one business to another and so the report will only give you the internet marketing strategies that are most suited to your business. You are also told which online marketing techniques will work against you, so you are able to avoid them. The report should also teach you on the various ways to make your website more search engine friendly. Social Media Marketing is now a very important part of the internet marketing process. A good website audit report will provide you with detailed information on how your social networking is crucial to the success of your businesses. They will also provide you with details of your back linking and whether you need to improve on it. Social networking and back linking are very crucial in ensuring that you make the most out of the resources that are your disposal. These two elements have become some of the leading factors in the ranking of websites. A free website analysis report that shows you what aspects you need to improve with regards to these two elements will be very beneficial to you. We hope that you have found this internet marketing article interesting and useful. Please feel free to comment and share this information with your friends and colleagues. Check out our regular Online Internet Marketing Digest feature, which showcases this months top digital marketing stories.This regular feature is published every month and is designed to provide you with the latest search engine optimisation and Website Promotion developments that affect your online business. Your can view this month’s collection of the hottest, hand picked, internet marketing news stories below. Social networks face an uphill struggle when competing against Facebook. Few networks know this quite as well as Zurker. Now eighteen months old, the site welcomes a growing number of members, but has faced a serious struggle simply to get the word out. Getonfast has been offering highly affordable online marketing services for almost 10 years and provides a FREE Website SEO Report to enable you to understand how Google ranks your website. If you found this blog post helpful, you may wish to consider subscribing to our Blog by RSS Feed or Email and receive our regular Online Internet Marketing Digests, direct to your inbox. As always, please feel free to comment and share this information with your friends and colleagues. Our monthly Online Internet Marketing Digest, features a range of hand picked web marketing stories. This is a great way for webmasters to keep up to date with the latest SEO and online marketing news. Each month we feature a collection of the latest stories from our industry that may help you to improve your SEO efforts. View the hottest stories for June below. The ad revenue generated from mobile users may not be where Google shines, but it is an area that is continuing to grow. Whatever the exact earning numbers might be at this time, records do indicate that Google has taken over 50% of them. Google’s got $5 on it … er, make that $240,000. This is according to last week’s announcement from medical cannabis nonprofit Michigan Compassion. The nonprofit said $240,000 in AdWords grants had been given by the Google Grants program. The local search landscape continues to evolve quickly. New vendors and local optimization tactics are emerging almost daily. Here’s a recap of the state of local search, the key players, and how to chart your way forward in this complex area. Google has quietly dropped another search operator, the tilde (i.e. ~) search operator. Google Operating System blog noticed the lack of support for the tilde operator over the weekend. Reportedly, Dan Russell, a Search Research Scientist at Google, confirmed Google dropped the feature. Dan said…Please visit Search Engine Land for the full article. We all know the importance of fresh content. It is the lifeblood of any blog, and the main focus of anyone whether they are using a special content marketing strategy, or not. But what many people miss is the importance and benefits of repackaged content. If you found this Online Internet Marketing Digest of interest, why not subscribe to our Blog by RSS Feed or Email and receive FREE Professional SEO Tips, direct to your inbox. Getonfast is a specialist internet marketing agency offering a range of highly effective website promotion, search engine optimisation, social media marketing, video marketing, banner advertising services and much more. Wy not request your FREE SEO Report right now! If you are searching for the latest internet marketing news or want to read this weeks hot stories from the online marketing world, then our regular Online Internet Marketing Digest feature is for you. Each month we bring you a round up of the most important topics that will help you to develop a successful online business. The folowing is a selection of our hand picked, top Website Promotion and SEO stories for May. I make a lot of jokes about Bing, I have to admit it. The gist is that it is a wannabe search engine that will never make it as the number one choice. Unfair? Probably, but I would argue that 1) I don’t care, and 2) It is still the truth. Besides, it is not like Bing will ever see this…it couldn’t find it! See what I did there? Why Your Business Should Be On Foursquare Now! is a post by SEO expert Darin Berntson. For information about our SEO services or more great SEO tips and tricks, visit the SEO.com blog.This is not your parents Foursquare. Remember the days playing this in school? Foursquare means business now! Nor is this another rendition of Kick-The-Can! Do you have a local business that thrives on needing new walk-in customers, and a business that values, more than life itself, repeat customers? At the Webby Awards this week, Steve Wilhite, father of the Graphics Interchange Format, used his five-word acceptance speech to end a popular debate: It’s pronounced “JIF,” not “GIF.” Unsurprisingly, this outraged many Internet users. Google has recently released a new analytics tool to help businesses know just how customers decide to purchase from their website and how long that takes. What Google has released is called the Customer Journey to Online Purchase and this new interactive tool is revolutionary in how it collects customer habits to better help you serve your business and customer needs. In this week’s Search In Pictures, here are the latest images culled from the Web, showing what people eat at the search engine companies, how they play, who they meet, where they speak, what toys they have, and more. Android Bathroom Signs: Source: Google+ Bike To Work Day At Google Germany:…Please visit Search Engine Land for the full article. As always, please feel free to comment and share this information. Check out our April edition of Online Internet Marketing Digest which showcases this month’s top online marketing and website promotion stories.This regular feature is published every month and is designed to provide you with the most up to date Online Marketing Information, all in one place. If you are interested in keeping up to date with the latest online trends and developments that may affect your business, please view our collection of the latest, hand picked, internet marketing news stories below. If you learn one thing from this video, it’s that you should never bring a Ouija board to jury duty. If you learn two things, it’ll probably be about giraffe pee. If you learn all five things, great. Do you want a medal or something?Enjoy this week’s episode of Reddit Facts, and be sure to subscribe to Mashable’s YouTube channel for this and other fun weekly shows. Understandably when you search for something online there are those websites that you just don’t want popping up in your results. It would be fantastic if you had some type of control over that no matter what you were searching for. The two terms sound incredibly similar, which gives the mistaken impression that they must be the same. I see many people getting confused when you are talking about name anchors… “Is this what we need to build links for?”… Ugh, no.The two are used for different functions entirely, and they have different tags used to make them. For years Google was trying to break into the social media scene. They spent time, energy and funds into launching their own versions, which always managed to crash and burn almost as soon as they were released. You may also wish to check out this latest video from Google. If you have enjoyed reading our round up of the latest Website Promotion News, you may wish to consider subscribing to our Blog by RSS Feed or Email in order to receive our monthly Online Internet Marketing Digests, direct to your inbox. Please feel free to comment and share this information with your friends and colleagues. .